Lot Size: 69 sq. m.
Apartment in Condo Hotel with living room, kitchen, 2 bedrooms, 2 bathrooms, elevator, pool, jacuzzi, roof, restaurant, bar and spa. Ask for our option Lock off, measures and prices. Excellent investment opportunity not only for its location and price, in addition to everything, each of the condos comes turnkey (fully equipped and furnished from white line to towels). 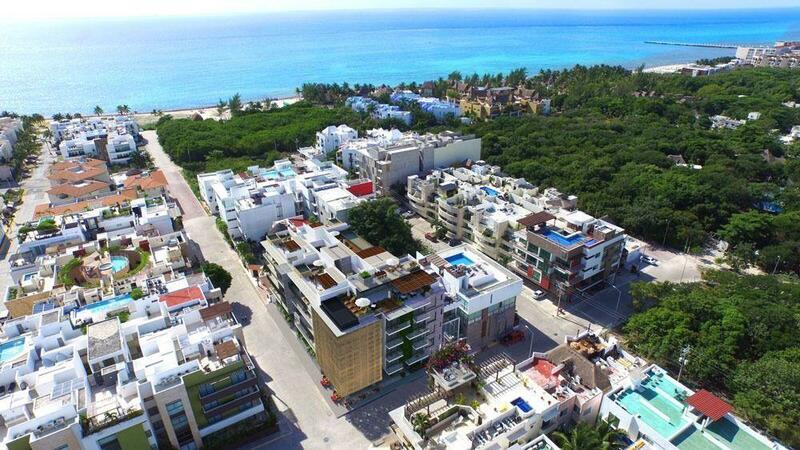 Condo Hotel: As owner you can have a residence in Playa del Carmen at the time that you want; When you are not, your property will become a luxury hotel that can rent guests. Lock off: Within your apartment, you have the option to separate the bedrooms to use or rent separately, as if you had 2 units.